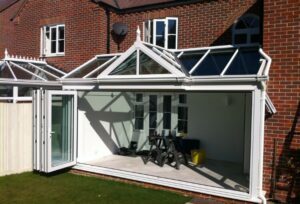 Are you looking to improve your existing conservatory or add a new conservatory to your home? Newlite are your local glazed extension specialists providing a range of designs, materials and sizes. For a new conservatory, there are a number of factors to consider so we give you some advice on what to think ahout, in this article. What is the best style of conservatory? With so many different styles and technologies used in a modern conservatory, there can be some confusion for homeowners. 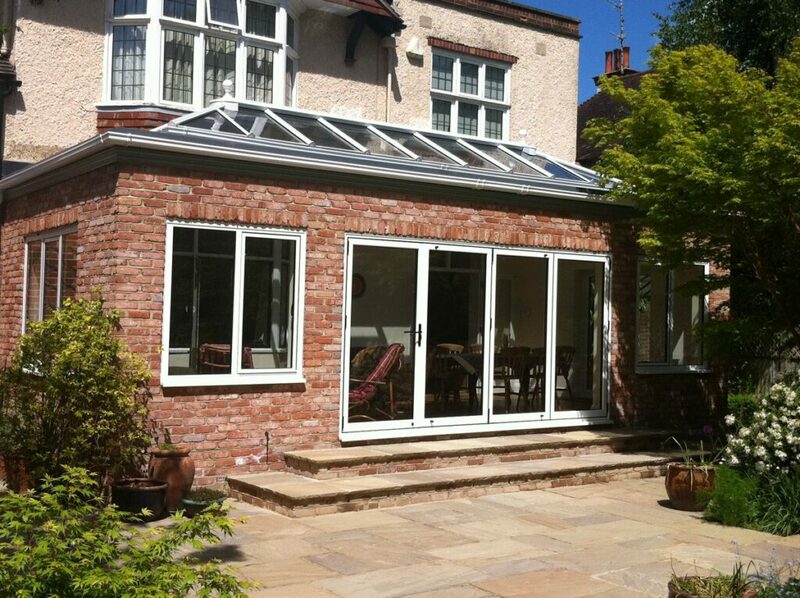 The distinction between the various conservatory styles such as an orangery or a lean-to is not as clear-cut. Conservatories are defined as those with more than 50% of its structure as glass or transparent materials. Previously a conservatory was mainly windows with French doors. Now you can have sliding doors, folding doors, tilt and turn windows and many more option. Consider how you will use your new conservatory. Think about what the use of your conservatory will be. Will it be an extension of your living space, a new dining area, a work space or a place for your children to play? Your desired function such as work, relaxation or entertaining space will determine your new conservatory to ensure it is the right size and layout. With a conservatory you will lose some garden space. It is inevitable that with a new conservatory you will lose some outside space, however you gain living space and in many cases an increase in property price. Don’t forget also that your new conservatory can act as a fantastic place to grow new houseplants with the masses of natural light that will flood in. Consider the aspect of your new conservatory. One of our latest Livin’Room conservatories with a modular design and latest generation bifold doors. If your house has a south facing garden, this may seen the obvious location for a conservatory. The drawback to this is that your conservatory is facing the sun all day long, so you’ll need to consider ventilation and a cooler environment. In our experience a North facing conservatory can provide a better room all round, so talk to us. If you intend to use your conservatory all year round we can talk to you about the best ways to provide heating and ventilation. From large opening windows, folding doors to underfloor heating and blinds, we can help. We have added style with comfort to all our conservatories with our range of glazing options, manual or automatic blinds and even manual or automatic roof vents. We can help you create a stunning new room that is useable all year round with no loss of comfort. Planning restrictions for new conservatories. Generally a new conservatory comes under permitted developments as long as it’s within size and height limitations. Even if you live in a conservation area, we can help you with planning and design and work with you and your local authority requirements. Contact us today and find out how Newlite can improve your home with a stunning new conservatory in PVCu, aluminium or timber. Our advice and consultation is free.